France is the home of haute cuisine: a country that can boast a different cheese for every day of the year; a nation that produces more wine than any other on the planet and the founder of the Michelin star guide. Naturally therefore, one would assume that in St Tropez, arguably France’s most luxurious resort, there is a good selection of fine dining restaurants. Those assumptions are justified by the host of excellent St Tropez restaurants, from seaside Club 55 to Christian Dior inspired Dior des Lices. For your convenience, St Tropez House – an expert in luxury villa rental in St Tropez – has therefore compiled a list of the finest local establishments to dine in. Club 55, a St Tropez beach club like no other, ranks among the most popular luxury establishments on the famous Pampelonne beach. It’s location upon golden sand and the excellent food it serves sees up to 1,000 guests congregate at the luxurious St Tropez restaurant daily during the summer season. Le Club 55’s sociable atmosphere is underlined by its mantra: “the client is not king because he is a friend”. Guests must expect to pay a premium to enjoy the luxuries of Le Club 55 however, with highly sought after seaside loungers commanding €100 before a first course has even been ordered. Nevertheless, the famous Ramatuelle restaurant is certainly worthy of its fee. Bamboo lines the bar, leading to a long wooden pier that connects Le Club 55 with the crystal clear Mediterranean sea. The clinking of Cristal bottles can be heard as diners indulge in seafood appetisers such as the tuna carpaccio, breaded calamari and Beluga Caviar. 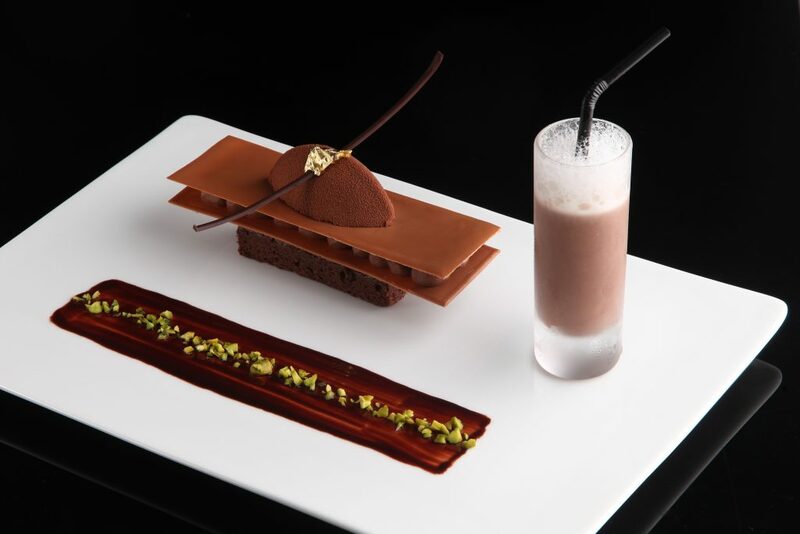 With three Michelin stars, Arnaud Donckele is one of France’s most decorated chefs. He has overseen an era of sublime cooking at St Tropez’s best restaurant La Vague d’Or, the private diner to the famous Hôtel la Résidence de la Pinède. 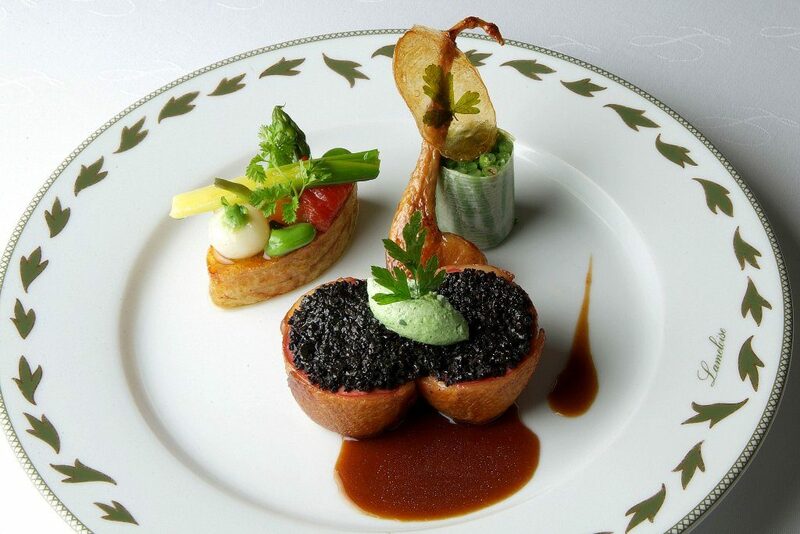 Originally opened in 1954, the restaurant received the first of its three Michelin stars in 1990 (a testament to La Vague d’Or’s long history of exceptional cuisine). However, it is only under the tenure of Arnaud Donckele that the restaurant has established itself among the world’s elite cooking establishments, earning two more Michelin stars in 2011 and 2013. 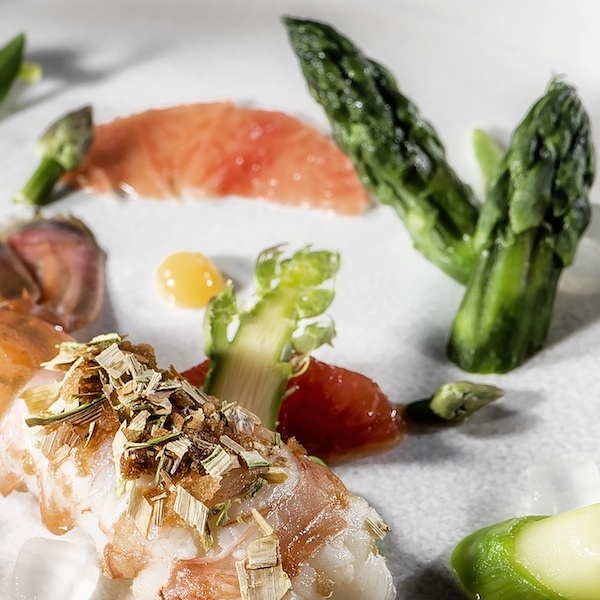 With original and flavoursome dishes such as the tempura of langoustine with bergamot oil complimented by stunning seaside views from the St Tropez restaurant’s lawn terrace, it is easy to comprehend the root of La Vague d’Or’s success. Just a stone’s throw away from the very central Place des Lices is a beautiful old Provençal house. Set in stone, with wooden beams and a large open terrace, Auberge de Maures’ charming and quaint appearance belies the world-class food that is being produced inside. Indeed, local delicacies such as the daube beef stew, lamb with rosemary, and assortment of Mediterranean fish have been served to customers here for more than 80 years, making Auberge des Maures the oldest restaurant in St Tropez. These excellent dishes have always been enjoyed in a convivial and peaceful atmosphere the likes of which has previously attracted celebrity diners such as Charlie Chaplin and David Niven to enjoy the Auberge’s luxury hospitality. Tucked away down a narrow alley, Au Caprice des Deux offers its customers the chance to enjoy rustic French cooking from beyond the borders of Provence at one of the best restaurants in St Tropez. Dishes inspired by the regions of Aquitaine, Gascony and further afield bring a contemporary touch to the nation’s old classics. Due to the limited number of places and the high popularity of the menu, ensuring a reservation at this small restaurant in St Tropez can prove challenging. Yet for lovers of wholesome, honest, high quality food, the wait is worthwhile. Enamoured by the charm of Bannu Pan Deï – a beautiful Punjab princess – a French General built a glamorous residence on the French Riviera in 1835 in her honour. 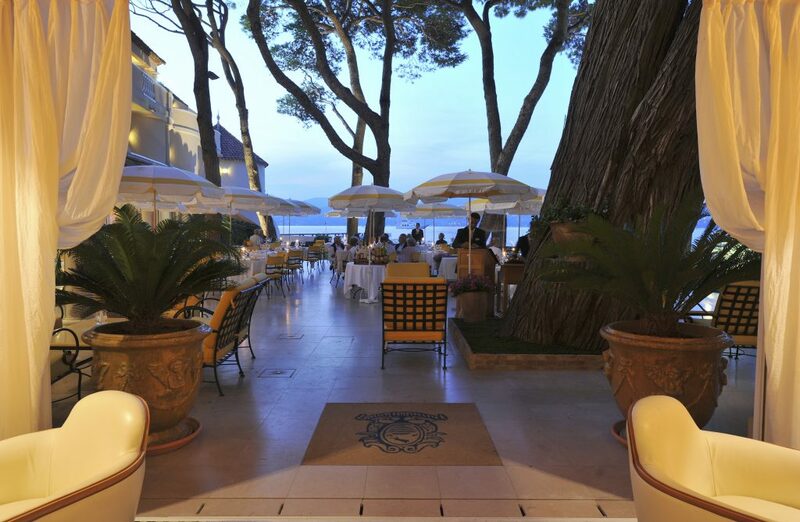 Today, part of the Relais de Chateaux’s illustrious chain of luxury hotels, the Hôtel Pan deï Palais ranks among the finest gourmet restaurants in St Tropez. Step beyond the hotel’s vast carved wooden doors and you are immediately transported to the exotic Far East. The food, much as the décor, has a distinctly Asian influence, and likewise, both are of the highest quality. Diners can enjoy a cocktail in Balinese beds, or rare dishes such as the Thai style sea bream in a banana tree leaf under a summer gazebo in the estate’s exquisite private grounds. A short drive out of the town centre has its rewards. For those willing to make the journey, Pearl Beach offers postcard views across the water from a unique perspective. In a hidden location towards Sainte Maxime, Pearl Beach creates exotic dishes from Southeast Asia. The St Tropez restaurant has served as a popular diner for spending romantic evenings among couples. Indeed, the food is an excellent marriage of rare flavours and beautiful presentation such as the sumptuous tiger shrimp salad. The region’s local cuisine is typically made with a seafood base. Many of the best St Tropez restaurants, including those featured in this list conform to this regional characteristic. Hôtel de la Ponche however is one of the very finest in serving Mediterranean seafood. Here, “fish soup, red mullet, lobster, cod are all honoured in true Provençal fashion”. Such dishes have long been admired by celebrity guests including Brigitte Bardot, during the making of Roger Vadim’s And God Created Woman and Pablo Picasso who was known to sit for hours on the hotel’s terrace and enjoy an anisette. Internationally renowned chef Alain Ducasse, responsible for some of the world’s finest restaurants, is the inspiration behind the success of Rivea. Its location within one of St Tropez’s luxury hotspots, the Byblos Hotel, also contributes to the restaurant’s high demand. 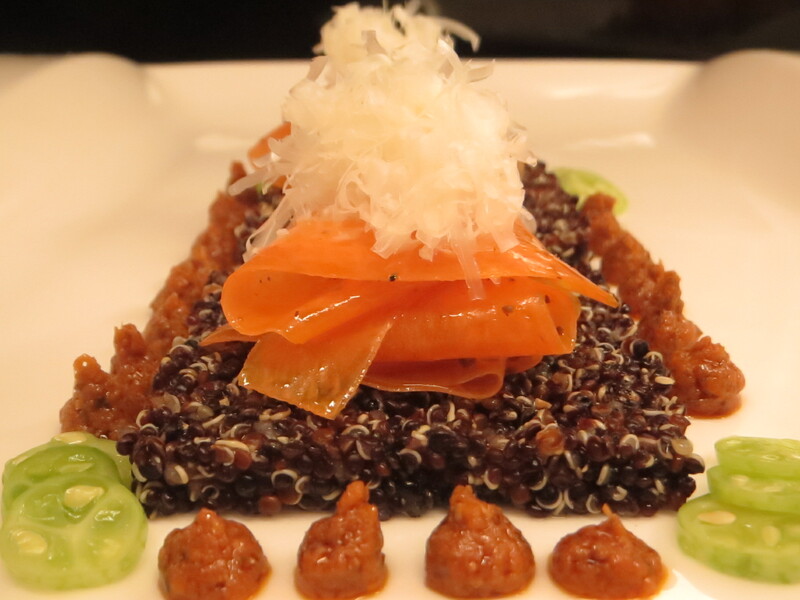 Guests can hope to enjoy fine dining in an opulent setting. Rivea offers a menu with a focus on local ingredients including meat reared in the Ligurian hills to fish freshly caught in the Mediterranean sea. The St Tropez restaurant’s menu regularly changes according to the season’s produce at the local market, where the food is sourced. In the middle of the town centre is an oasis of peace. Luxury Hôtel de Paris’ picturesque courtyard Le Patio is an image of tranquillity where diners can enjoy relaxed meals in an attractive garden. Alternatively, guests can also eat in the rooftop lounge for panoramic views across the pastel coloured rooftops of St Tropez, or in the stylish, contemporary bar below. There is also a stunning wine cellar that offers a selection of more than 350 different labels from grand crus to vintages. Le Patio’s speciality is Italian cuisine, meaning delectable dishes such as grilled antipasti, swordfish carpaccio, squid-ink risotto, seafood salad, and veal with porto sauce. Led by 3 star Michelin chef Yannick Alléno, Christian Dior’s flagship resort is one of St Tropez’s best restaurants for an excellent lunch upon the manicured lawns of a stunning Provençal estate. An elite clientele gather under the shade of the three-story compound adjacent to the Place des Lices. Equally one may sit indoors among 18th Century Christian Dior interior design by Peter Marino, including terracotta floors, marble furnishings and large French windows looking onto the garden. The food, as expected, is as delightful as the St Tropez restaurant’s charming hospitality. For more information on how you can rent a villa near bars and restaurants in St Tropez, contact Emilia Jedamska on [email protected] and experience the myriad culinary delights of this luxurious holiday resort on the French Riviera.